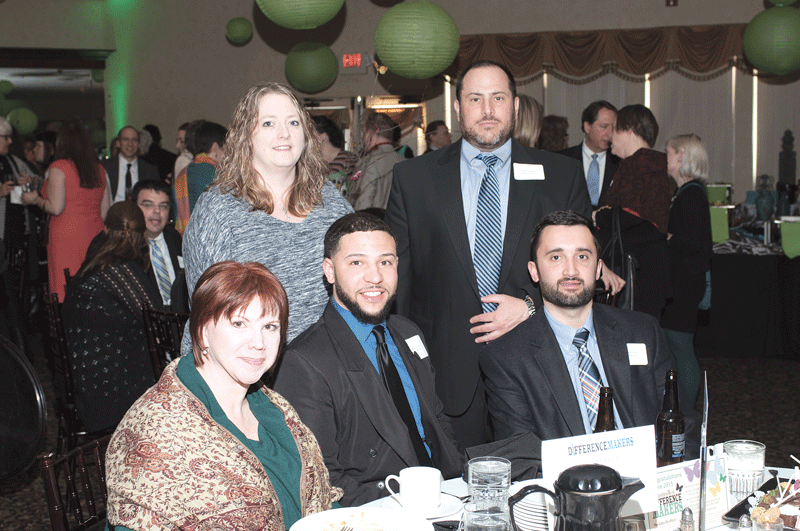 More than 350 people turned out at the Log Cabin Banquet & Meeting House in Holyoke on March 19 for a celebration of the Difference Makers for 2015. 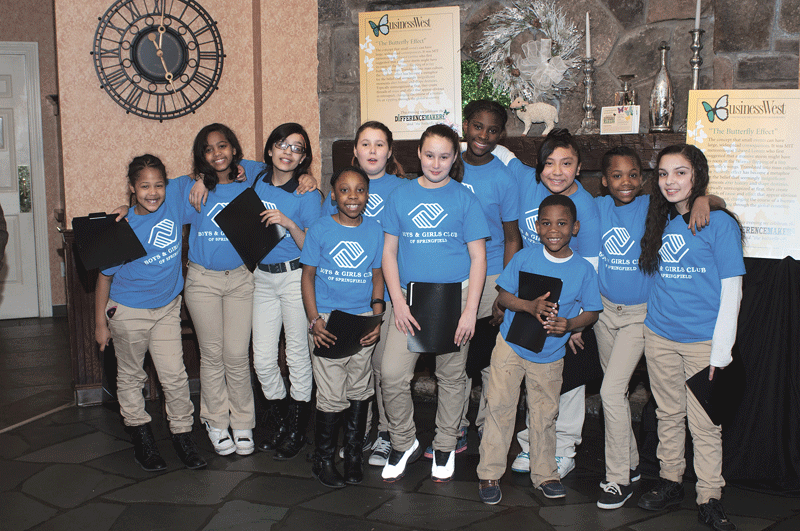 The photos on the next several pages capture the essence of the event, which featured entertainment from the Springfield Boys & Girls Club, as well as fine food and thoughtful comments from the honorees. This year’s class, chosen by the editors and publishers of BusinessWest from dozens of nominations, include Katelynn’s Ride, represented by Domenic Battista, Michelle Battista, Kim Zachery, Dan Williams, Steve Stark, and Corinne Briggs; MassMutual Financial Services, represented by Nick Fyntrilakis; Spirit of Springfield Executive Director Judy Matt; Valley Venture Mentors, represented by Paul Silva, Scott Foster, and Jay Leonard; and the new ownership group of the Student Prince/Fort: Andy Yee, Peter Picknelly, Michael Vann, and Kevin Vann. 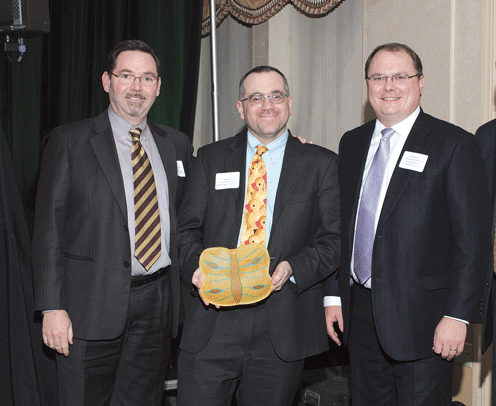 From left: John Veit, marketing and recruiting senior associate, Meyers Brothers Kalicka, P.C. 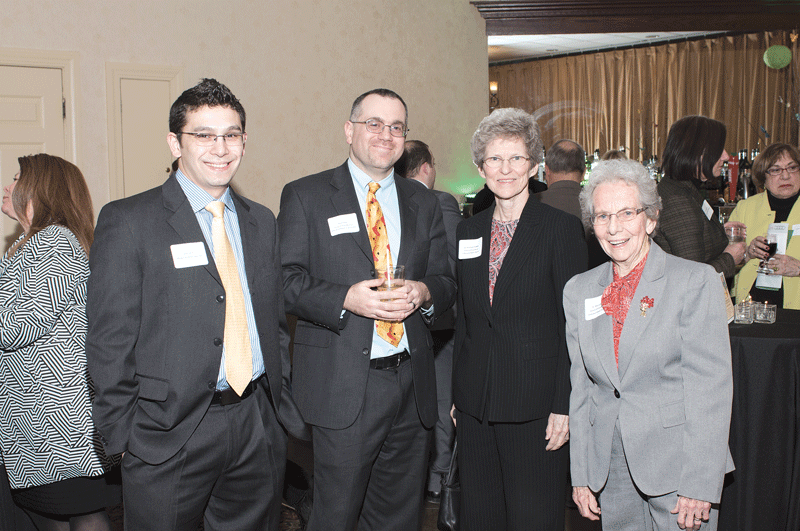 ; 2015 Difference Maker Paul Silva, executive director, Valley Venture Mentors; and 2013 Difference Makers Sr. Kathleen Popko and Sr. Mary Caritas of the Sisters of Providence. 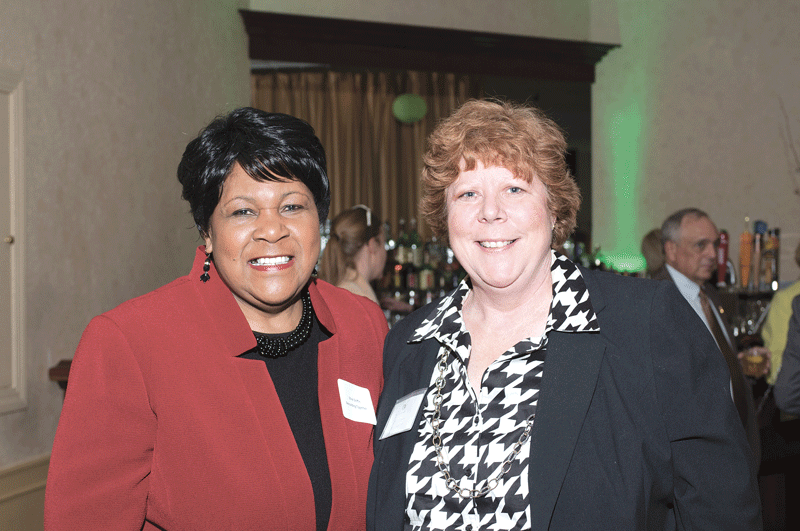 Ethel Griffin (left), program manager, Revitalize Community Development Corp., with 2014 Difference Maker Colleen Loveless, the organization’s executive director. 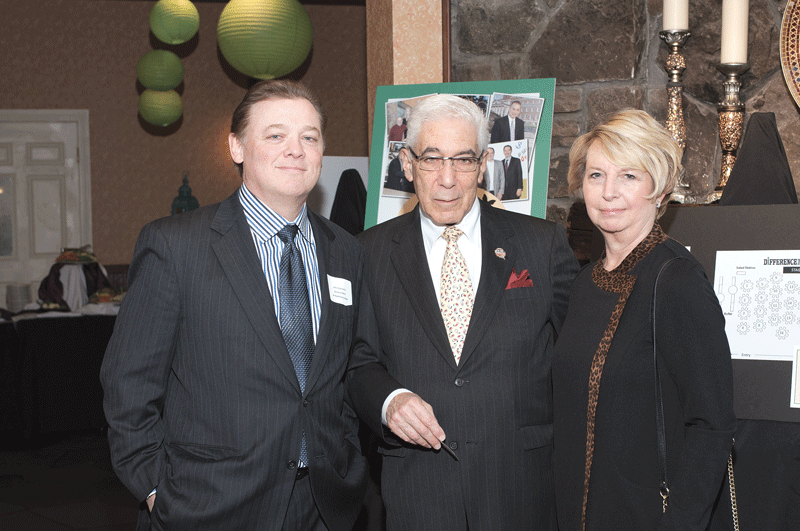 From left: BusinessWest Publisher John Gormally; 2013 Difference Maker Jim Vinick, senior vice president of investments, Moors & Cabot Inc.; and Marjorie Koft. 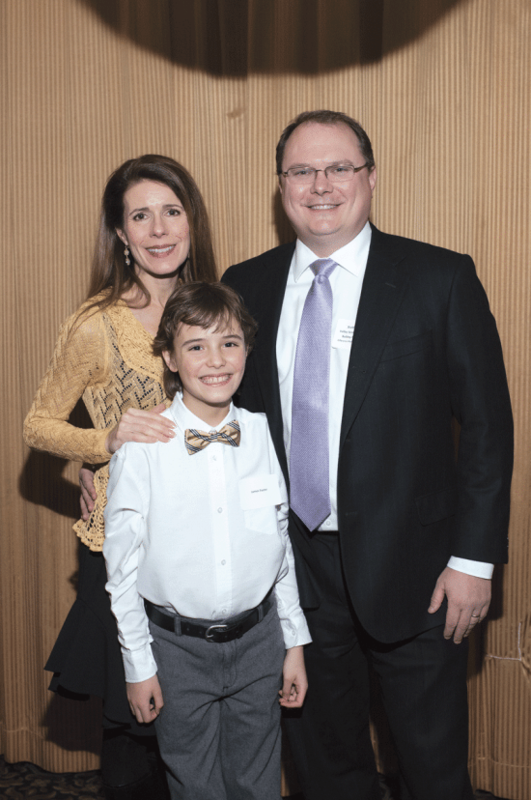 Scott Foster (right), partner at Bulkley Richardson and board member with 2015 Difference Maker Valley Venture Mentors, with his wife, Stephanie Foster, and son, James Foster. From left: Brenda Olesuk, director of operations and development, Meyers Brothers Kalicka, P.C. 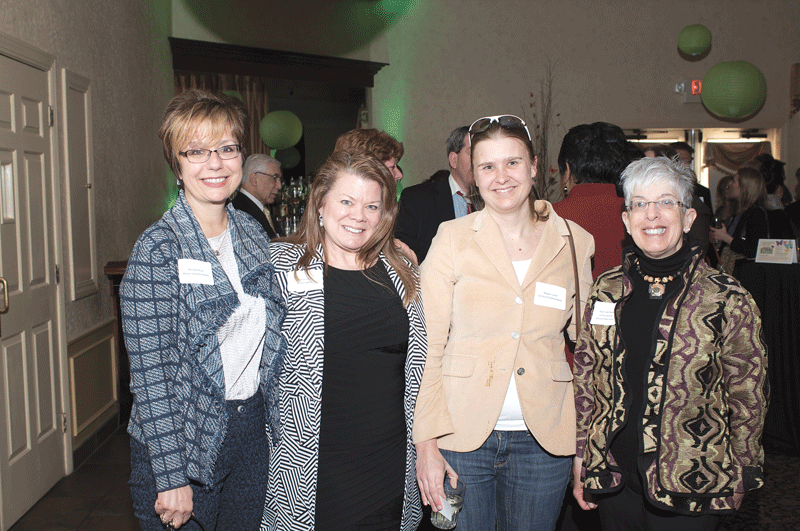 ; Kathleen Plante, advertising consultant, BusinessWest; Meghan Lynch, CEO and president, Six-Point Creative Works; and 2009 Difference Maker Susan Jaye-Kaplan, founder of GoFIT and co-founder of Link to Libraries. 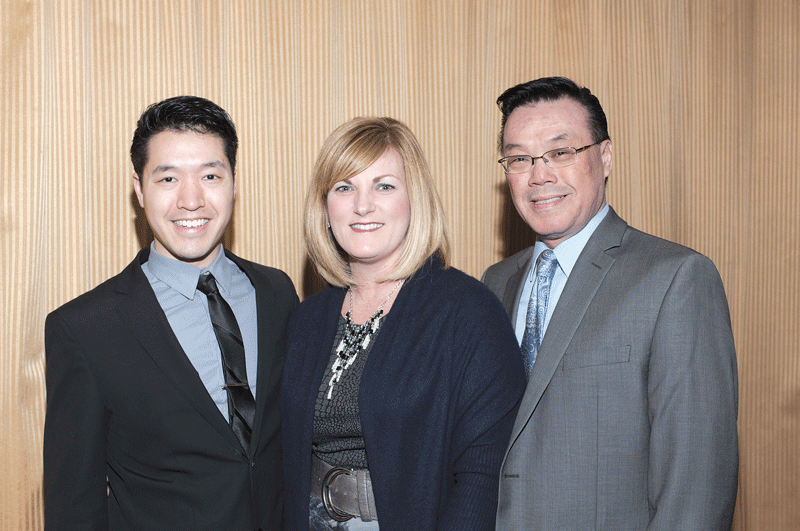 2015 Difference Maker Andy Yee (right), one of the new owners of the Student Prince/Fort, with his wife, Sarah Yee, and son, Matthew Yee. 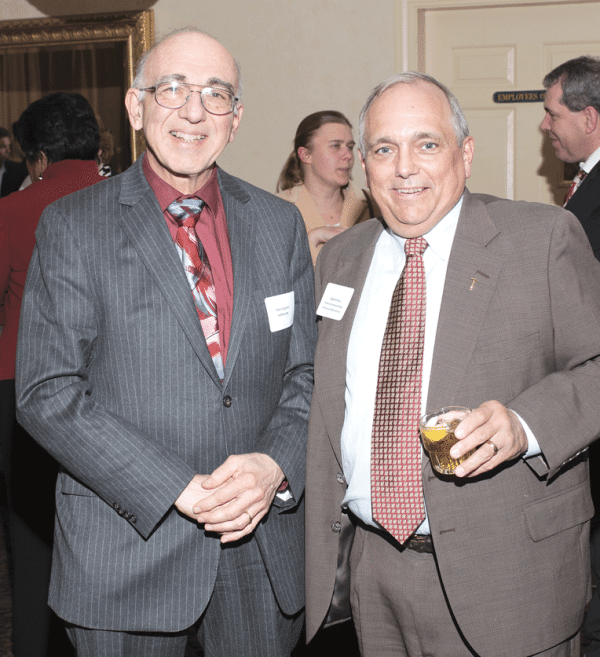 Peter Galiardi (left), president and CEO, HAPHousing, with 2011 Difference Maker Bob Perry, retired partner/consultant at Meyers Brothers Kalicka, P.C. 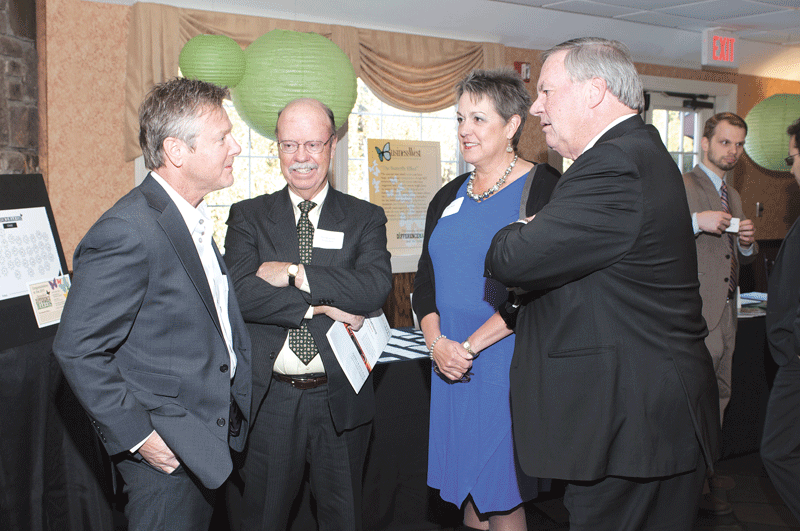 From left: 2015 Difference Maker Peter Picknelly, chairman and CEO of Peter Pan Bus Lines and one of the new owners of the Student Prince/Fort; Paul McDonald; Susan Walsh; and Dennis Walsh, general manager, Sheraton Springfield. 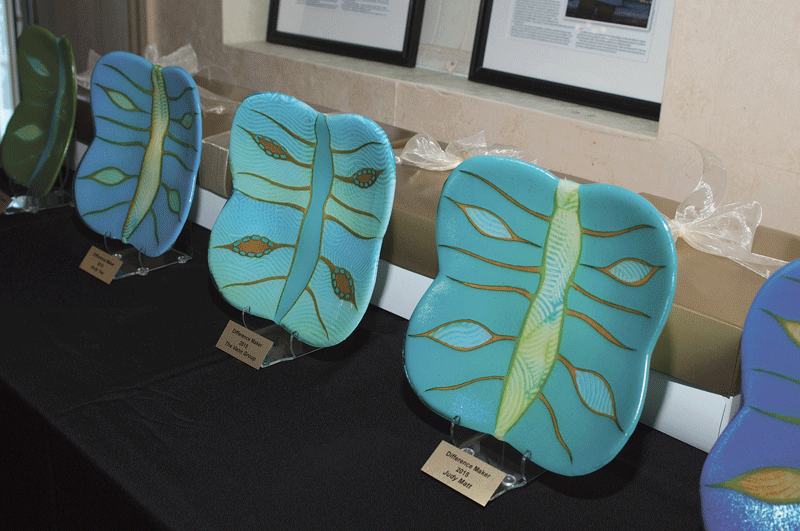 Once again, the honorees received glass plates hand-crafted by Lynn Latimer, representing butterflies, the symbol of BusinessWest’s Difference Makers since the program was launched in 2009. 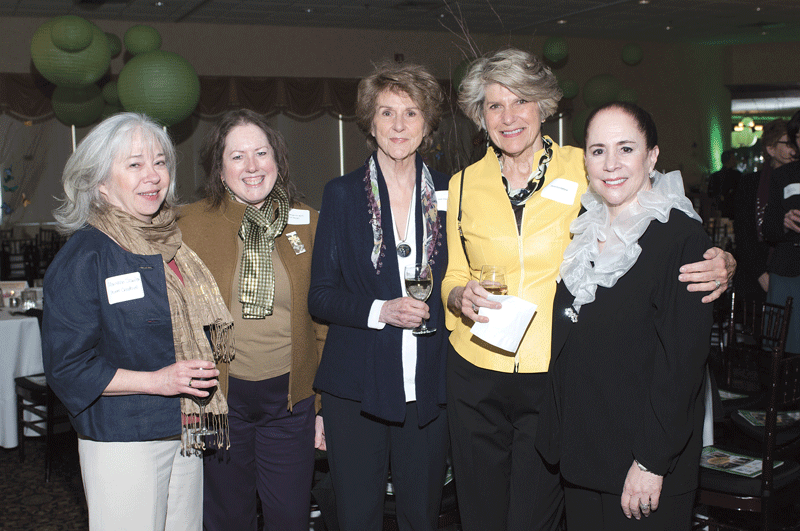 From left: Maureen Scanlon, owner, Murre Creative; Susan Bergeron-West, owner, Sirius Design; Jean Jinks; Florence DeRose; and 2015 Difference Maker Judy Matt, president, Spirit of Springfield. 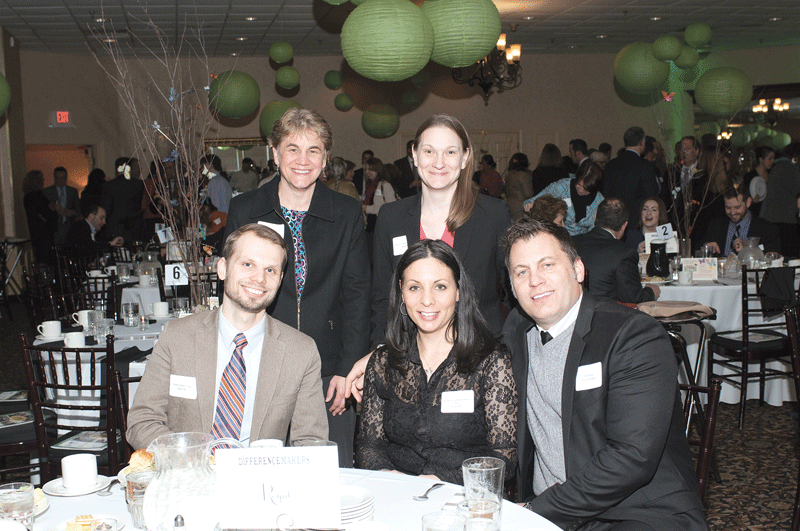 Front row, from left: from Health New England, Nicole Santaniello, content management specialist; Brian Kivel, sales executive; Elin Gaynor, assistant general counsel; and Cinnamon Azeez. Back row, from left: also from HNE, Laura Dellapenna, administrative assistant; Heidi Fountain, senior special accounts manager; and Robert Azeez, Medicaid behavioral health manager. Front row, from left: Robert Zywno, attorney, Royal LLP; Tanzania Cannon-Eckerle, attorney, Royal LLP; and her husband, Joe Eckerle. Back row, from left: Joanne Salus, director of Human Resources, Community Enterprises Inc.; and Karina Schrengohst, attorney, Royal LLP. 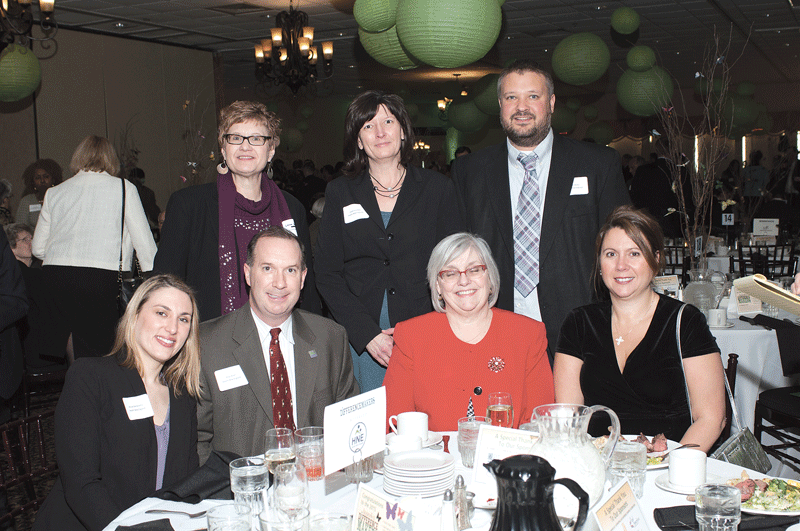 Front row, from left: from MassMutual Financial Group, Michelle Sussmann, assistant vice president and chief of staff, Marketing Strategy, Planning, and Operations; Nick Fyntrilakis, vice president, Community Responsibility; Cindy Adams, program manager; and Nicole Fyntrilakis. Back row, from left: also from MassMutual, Tracy Shaw, assistant vice president; John Chandler, chief marketing officer; Mike McNamara, Media Relations and Communications; and Sonja Shaw, relationship manager. 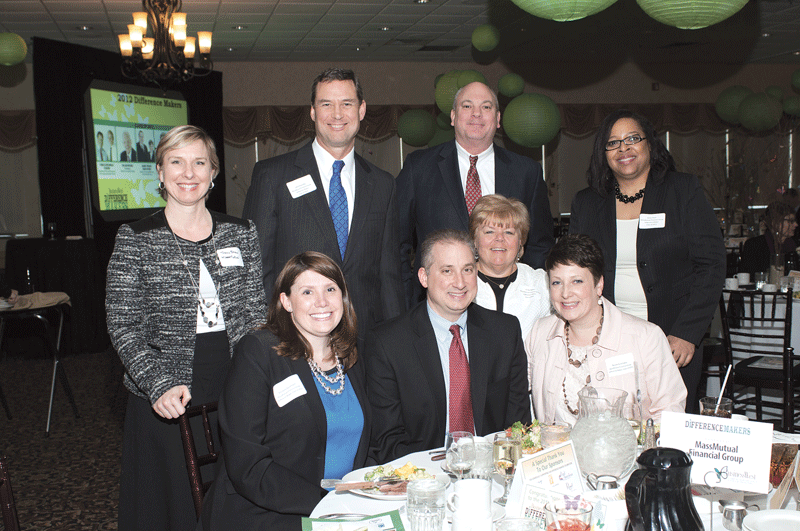 Front row, from left: from Meyers Brothers Kalicka, P.C., Kaylin Helitzer, associate; Jim Krupienski, senior manager; Kristi Reale, senior manager; and Jim Barrett, managing partner. Back row, from left: also from MBK, John Veit, marketing and recruiting senior associate; Brenda Olesuk, director of operations and development; Melyssa Brown, senior manager; Chris Marini, associate; and Kris Houghton, partner. Front row, from left: Dennis Murphy, administrative specialist, First American Insurance Agency; Noni Moran, Human Resources director and claims adjustor, First American Insurance Agency; and Molly Murphy. 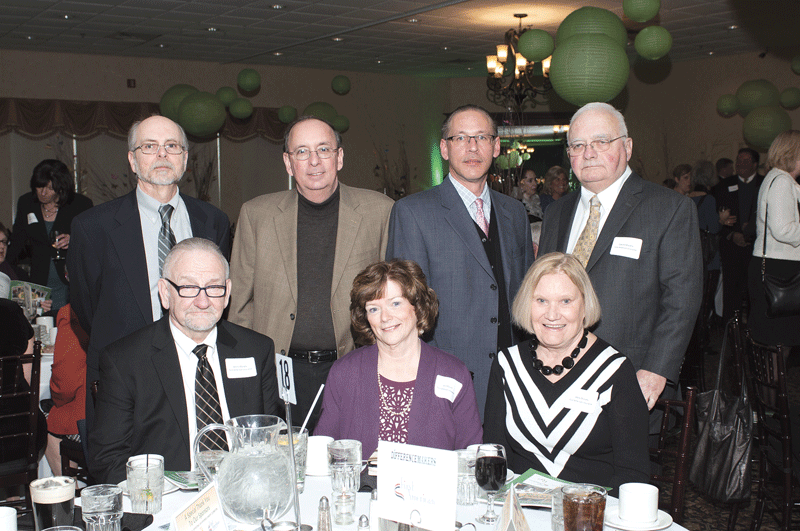 Back row, from left: Moe Brodeur, controller, Peter Pan Bus Co.; Tom Picknally, senior vice president of Maintenance, Peter Pan Bus Co.; David Matosky, operations director, First American Insurance Agency; and Edward Murphy, chairman, First American Insurance Agency. Front row, from left: from Fathers and Sons, Lori Monroe, business development; Trae Morrison, product specialist; and Bill Visneau, product specialist. Back row, from left: also from Fathers and Sons, Angela Lebel, service advisor; and Steve Langieri, sales manager. BusinessWest Editor George O’Brien (center) presents the 2015 Difference Makers award to the new ownership group of the Student Prince/Fort, from left, Andy Yee, Peter Picknelly, Michael Vann, and Kevin Vann. 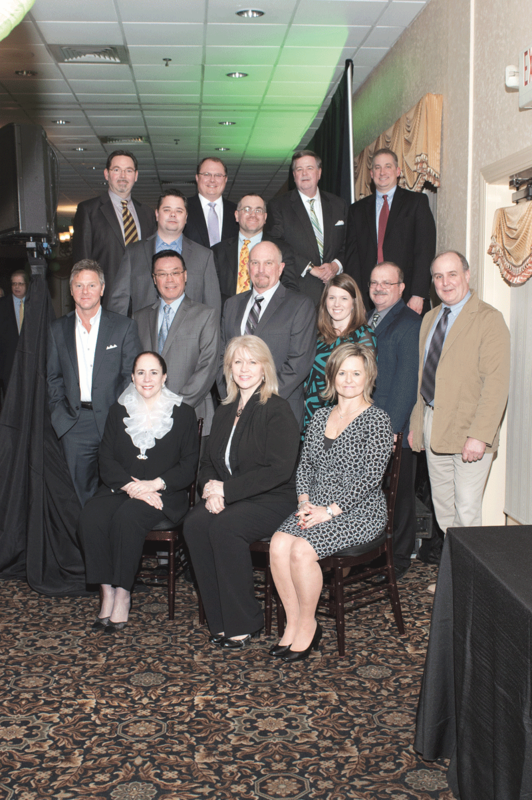 BusinessWest Editor George O’Brien (third from left) presents the 2015 Difference Makers award to representatives from Katelynn’s Ride, from left, Corinne Briggs, Domenic Battista, Michelle Battista, Kim Zachery, Dan Williams, and Steve Stark. 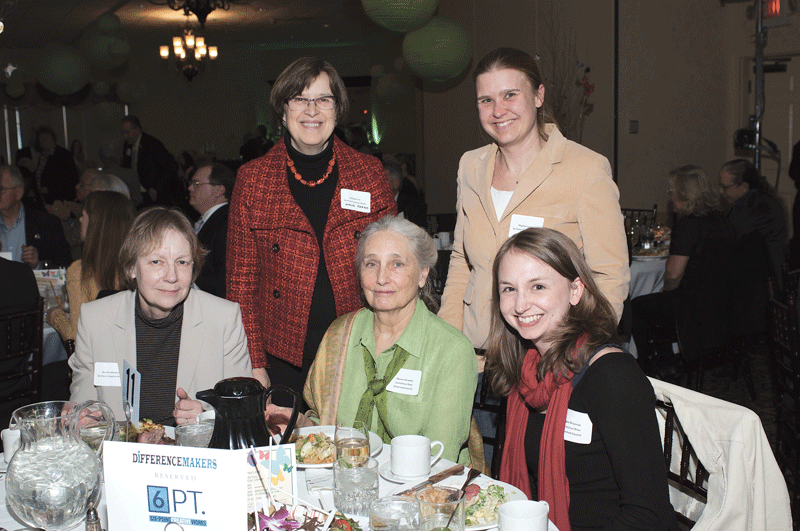 Front row, from left: Marsha Montori, chief client strategist, Six-Point Creative Works; Marion Griswold, membership coordinator, Connecticut River Watershed Council; and Angela Mrozinski, outreach and events director, Connecticut River Watershed Council. Back row, from left: Melody Foti, senior vice president, Investments, Wells Fargo; and Meghan Lynch, CEO, Six-Point Creative Works. Representing 2015 Difference Maker Valley Venture Mentors, from left, Jay Leonard, Paul Silva, and Scott Foster.